IMO is an shame that Giorgio Armani DO NOT put MORE effort in his design for Charlene! Awwwww she's so sweet , little Estelle. 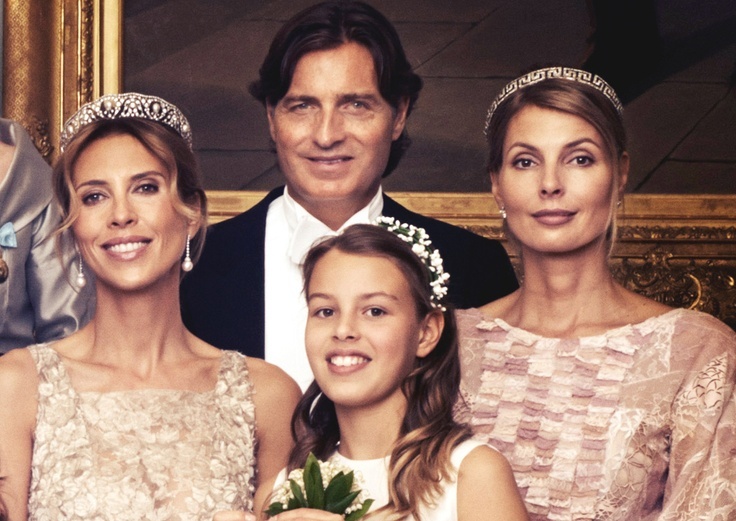 I saw a photo where Prince Carl's current girlfriend Sofia H. was seated in the same row near his ex-Waity Katey girlfriend who hung on for years. The ex-girlfriend is of best friends of Madeleine, right? At least, is what I read. What you guys think of King in wedding?? Oh my I think Chris's mom is going to be quite the headline getter. She has that hardened climber look. You can tell she's not easily pushed out of the way and will do whatever it takes to get a leg up.....no pun intended.